In addition to capability, technology enhancements and interior improvements have made Detroit’s heavy-duty pickups nearly as luxurious as some premium brands — and nearly as pricey. The trend began in the early 2000s when Ford added a leather-laced King Ranch trim to the Super Duty lineup. Ram has followed suit, adding ample leather and wood to its latest models, as well as a 12-inch touch screen option. 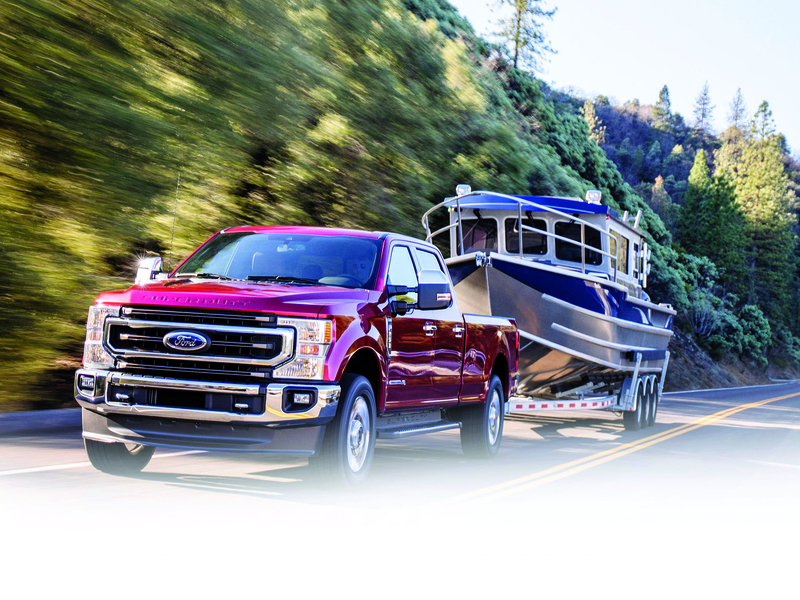 Ford’s newest Super Duty pickups will come with an optional pro-trailer backup assist feature that is used on the smaller F-150. The class-exclusive feature lets drivers steer a trailer via a reverse camera that can handle all styles, including fifth wheels and goosenecks. They also get lane-keep assist, emergency braking with pedestrian detection and blind-spot monitoring technology. The features are standard on XLT and higher trims and were designed specifically for vehicles meant to haul heavy loads. Ford also added new drive modes, including Eco, Slippery and Sand/Mud. The trucks come with an embedded 4G LTE modem and Wi-Fi. Vince Bond Jr. and Michael Wayland contributed to this report.